Frank is an 82-year-old member of the community bank's board of directors. He is alert, independent, and confined to a wheelchair due to advanced rheumatoid arthritis. Every Tuesday at 10:00 am, Frank uses his phone to FaceTime the president of the bank to find out what the board meeting will be about. After his call, he uses his laptop to document what was discussed. Later he texts the president to tell him that he needs to send out proxies for the voting of the new board members. It’s important to Frank that he still has input in his profession. Technology is empowering older adults who remain alert and active contributing to their families and communities. At no other time in history has technology given back to the very generation who helped build it. Most independent elderly choose to age at home. Technological advances make this possible in many cases. Phones, cameras, computers and social media provide connections to significant others, family, physicians, and friends. No longer do the elderly just sit at home watching television and sleeping. Now, they are involved in stock exchanges through real-time listings on their smartphones, purchasing items through Amazon, and chatting with nurses at their physician’s office. They are empowered through new technology to live a high-quality life. New technology has allowed the elderly to take their medication with the assistance of visual alarms and safety features through medical applications and prepare meals with the help of YouTube. Homes are being built to accommodate the elderly with open floors, wider doorways, and lower counter tops. The elderly are taking online classes and communicating with professors as they visualize the virtual classroom. Technology has given hope to the elderly and future generations. 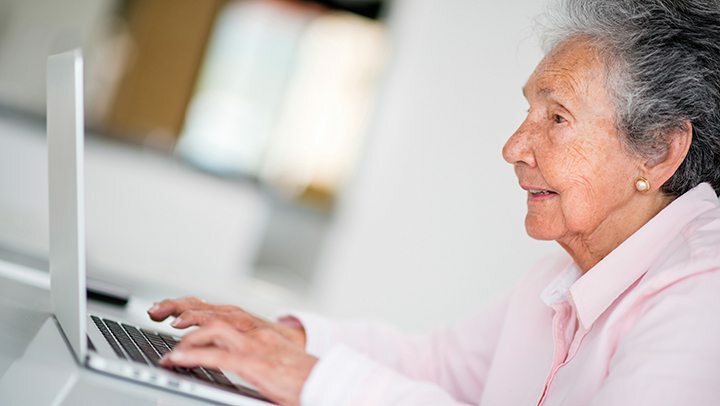 As old age inevitably arrives, the elderly can begin to adjust by learning how to navigate new hi-tech tools, which will allow them to remain independent and enabled. By doing this the wisdom of the elderly will be carried on to future generations.